In a departure from our usual "You Caught It, You Cook It" feature, our latest recipe is not a seafood dish. 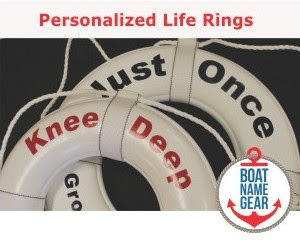 However, while not created from your latest 'catch', this delicious and easy-to-make recipe is ideally suited for owners of small- and mid-sized boats. In fact, we got this recipe straight out of the new book, Cooking Aboard a Small Boat, the latest of several books for boaters by Paul Esterle (A.K.A. Capt'n Pauley). 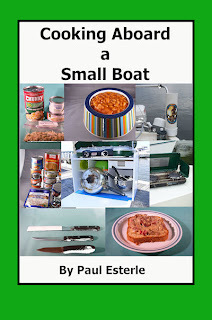 The book is a treasure chest of meals that are easy to make for those of us with smaller boats. We're talking no galley, a dorm-room size fridge (or none at all), and, if you're lucky, some sort of heat source that could pass for a stove. Dump all ingredients except chicken into a saucepan, preferably non-stick. Bring mixture to a boil and reduce to a simmer. Simmer for 30 to 40 minutes, until dried onion is reconstituted and mixture is thoroughly heated. Add chicken; continue cooking until chicken is heated. Do not overcook. If you have it, add a half of cup of shredded Monterey Jack cheese just before serving. 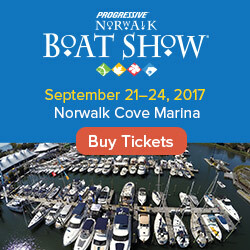 For more boating books by Paul Esterle, visit his website or his author's spotlight page on lulu.com.